Stylish fleece jacket for women features a smooth sleek design and look. 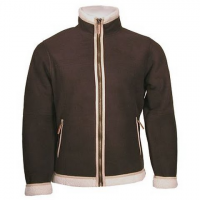 Made with soft and warm Polar Action Mocca fleece 590grams. Super good looking at a great price!